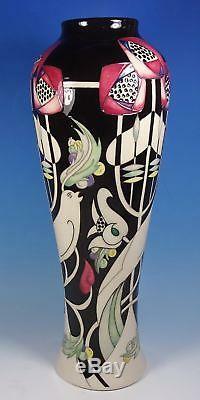 This impressive and beautiful, hand made and hand decorated art pottery vase was produced by the world renowned and highly collected Moorcroft factory in Stoke on Trent, England. It was designed by Nicola Slaney and it forms part of the 2017 catalogue range. 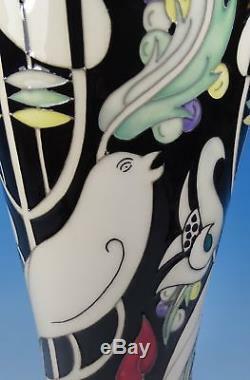 It is a beautiful piece that nods toward the Arts and Crafts period with stylised birds and flowers set against a cream ground. 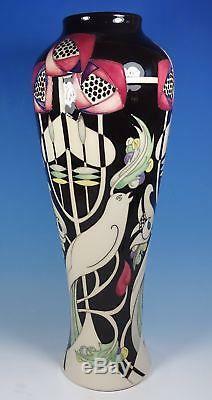 It is the largest vase produced in this range and is a spectacular example. 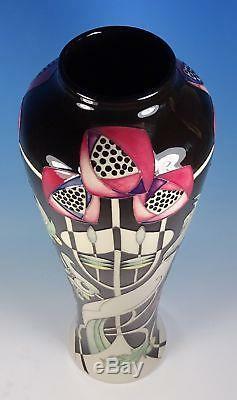 The vase is first quality and in excellent condition with no chips, cracks, crazing or restoration. 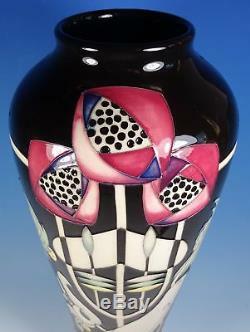 There are some tiny underglazed bubbles located to the neck of the vase as shown in the attached photos. 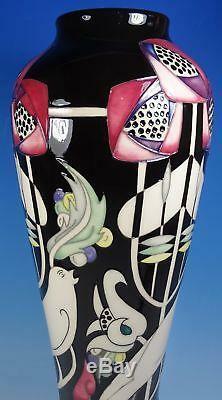 Fully stamped to the base with various Moorcroft markings (as shown in the attached photograph for your reference). We reserve the right to add any additional courier surcharges to your final invoice if you are deemed by DPD to reside in a remote area. We reserve the right to add any additional courier surcharges to your final invoice if you are deemed by UPS to reside in a remote area. Packages in excess of 2kg may be sent by courier if this is more cost effective for you. 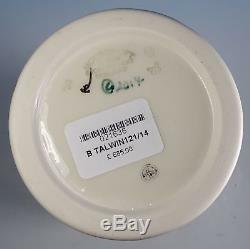 We stock a fantastic range of British and European ceramics including Moorcroft, Royal Doulton, Beswick, Lladro, Nao, Royal Albert, Royal Crown Derby, and Royal Worcester. 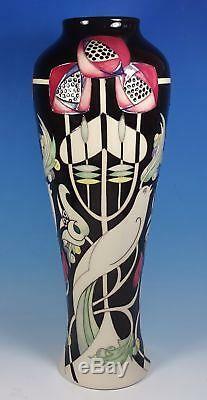 The item "MOORCROFT Arts And Crafts TALWIN 14.25 Vase 121/14 Nicola Slaney 1st RRP £685" is in sale since Thursday, December 28, 2017. 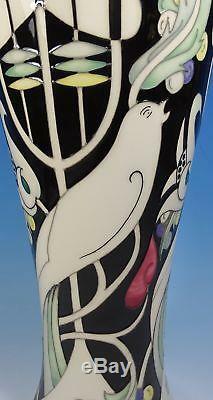 This item is in the category "Pottery, Porcelain & Glass\Pottery\Moorcroft". 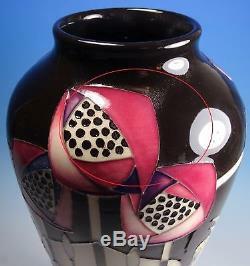 The seller is "premierpottery" and is located in Holmes Chapel.